Music Man Blog: CD Review: Linda Calise, "La Vie-My Life"
Linda Calise grew up listening to the wonderful sounds of the American Songbook just like me and most of the followers of this blog. She fell in love with the sounds of Bennett, Sinatra, Streisand and the Pop sounds of the The Carpenters and The Beatles. In the early 90's she studied voice in Boston at the McClosky Institute for Voice. She has performed at music venues such as: the Wang Theatre, Scullers Jazz Club, Something Jazz, Swing 46, Kitano Jazz Club in NYC, the Waldorf Astoria and the Foxwoods Casino just to mention a few. 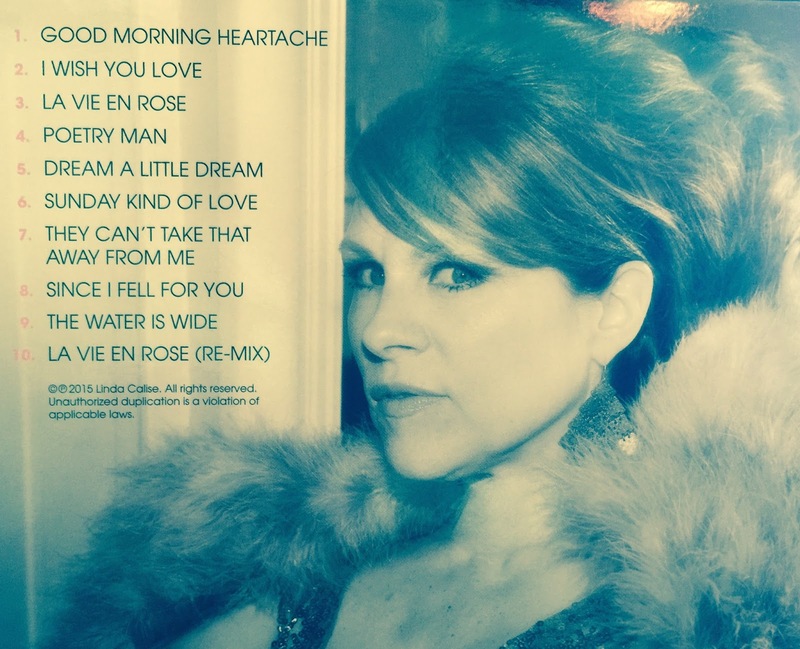 Linda Calise has a strong, pure voice and will impress any listener within the first few notes. It's clear that all the years she spent listening to Bennett and Sinatra have also paid dividends. Her phrasing and interpretation of lyrics are top rate. She is an excellent performer! She has selected an interesting mix of songs for her CD, including great standards, Blues and Pop and she performs every one perfectly. I have attached two "YouTube" videos so you can hear Linda's beautiful voice and skillful work on two cuts from her new CD. The first cut is a soulful ballad, "Sunday Kind of Love" and the second cut is a Gershwin gem, "They Can't Take That Away From Me". Enjoy! Performers on "Sunday Kind of Love"
Ben Albert-Piano, Joe Calise-Bass, Mike Casano-Drums, Alex Krepkikh-Guitar, Pete Levesque-Saxophone, Eric Bloom-Trumpet, Garrett Levesque-Violin. Performers on "They Can't Take That Away From Me"
Joe Calise-Bass, Mike Casano-Drums, Bob Bowlby & Ted Casher-Saxophones, Ross Hill-Trumpet, Jeff Galindo-Trombone.